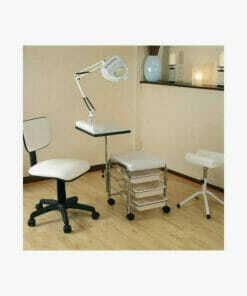 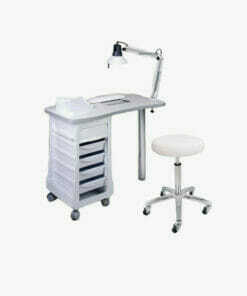 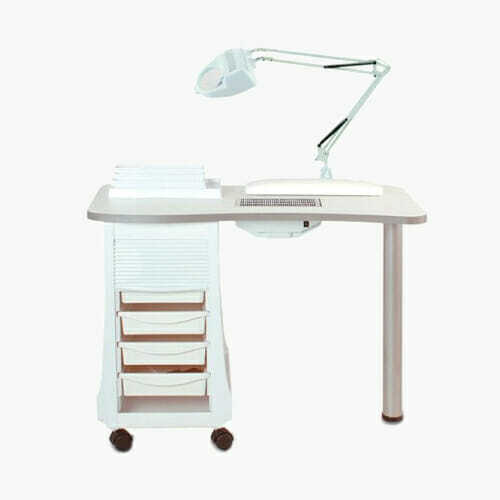 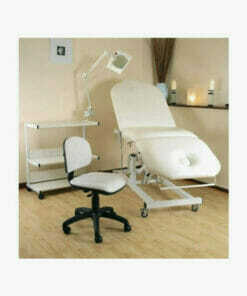 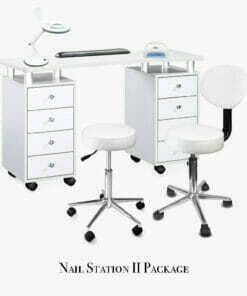 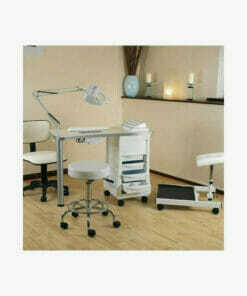 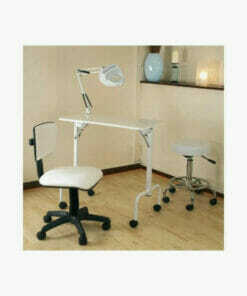 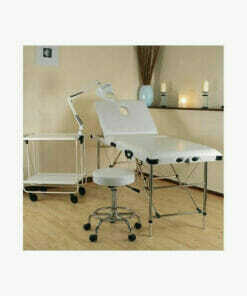 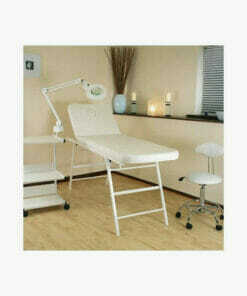 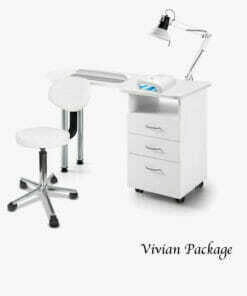 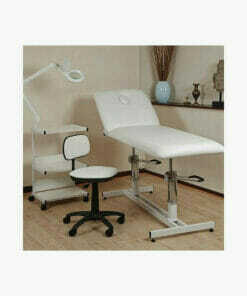 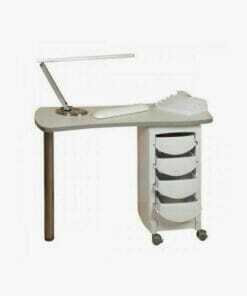 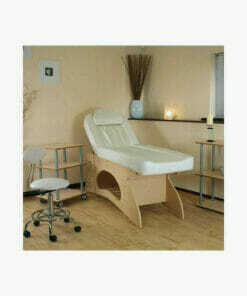 Skinmate Manicure Station Set, white nail manicure desk with extractor fan with filter and grill, arm rest, nail polish rack and nail manicure lamp. 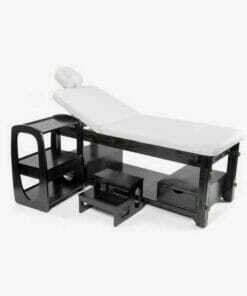 Adjustable table leg and compact storage tower with 4 pull out drawers with pull down shutter, castored feet. 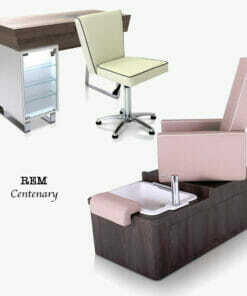 Dimensions length 98cm, width 48cm, height 74cm.